Summary. The purpose of the work is the scientific enrichment of sweet butter mixtures with polyphenolic compounds from vegetable raw materials, namely, cherry and ginger powder. The method of evaluation of the organoleptic, physicochemical, microbiological parameters, toxic elements, radionuclide content, mycotoxin content, pesticide content and nutrient content (proteins, fats, carbohydrates, minerals, vitamins) of the sweet butter mixture using the Harrington desirability function is developed. Key words: butter, enrichment, emulsion, cherry. Introduction. Human health is determined by its food status, that is, the degree of security of the body necessity, primarily essential nutrients and energy. After all, health can be preserved only if full satisfaction of physiological needs in energy and nutritional habits. Unbalanced nutrition is one of the important reasons for the increase in the number of chronic pathological conditions. Nutrition should not only satisfy the physiological needs of the human body in nutrients and energy, but also provide it with all the necessary spectrum of micro-ingredients that contribute to the prevention of alimentary-dependent diseases [1-4]. Having gotten acquainted with scientists’ literary data analysis, we saw what innovations were carried out with indicators of food products quality [5-8] and about world problems [9-11], we observed how the butter mixture and butter pasta were enriched by scientists at the National University of Food Technology. It is enrichment with plant micronutrients [12-14], study of the structural elements of the enriched butter mixture by the microstructural method , research of the butter mixture enriched by biogenous complex of plant micronutrients enriched the butter mixture with a complex of natural micronutrients, which was mixed by specially prepared suspensions of additives: pepper powder 4%, sesame seeds – 20%. Enriched butter mixture is characterized by high taste properties. It has got pure creamy taste and a smell with a pleasant taste of sesame and some salty taste, a light yellow-orange colour, a homogeneous, plastic consistency and a dry surface at the cut, indicating the highly dispersed distribution of the components in the structure of the product [16-18]. 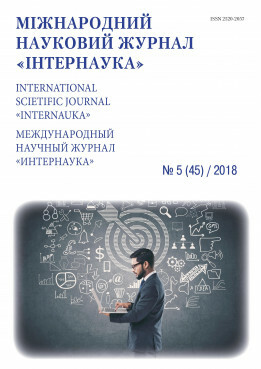 Substantiation of theoretical preconditions of formula composition creation of butter mixtures [7-8] made it possible to understand content and importance of biologically active substances providing of the population, polyphenolic compounds and to determine its value in the Ukrainian population livelihood. It allows it to be used in the confectionery industry to lubricate biscuit half-finished products . This product can be produced at the existing equipment factories, as well as at the health and medical establishments. A new type of butter has also been developed. It was added bud cryopowder of the blackberries. The bud cryopowder of the blackberries contains different molecular weight compounds. Cryopowder contains up to 10% polysaccharides. They may produce gel in the water phase of plasma. «Vesniane» butter was produced, using cryopowder from the blackberry buds . It is characterized by commonly curative and immunomodulating properties. It positively affects on the immune system state, hydrocarbon and lipid exchange . Enriched butter with banana and zucchini powder allows you to get the product not only with therapeutic and prophylactic properties, but also with improved consistency. Banana powder contains components that are able to bind strontium and cesium. It prevents their absorption in the gastrointestinal tract, but also eliminates radioactive species which are circulating in the bloodstream. In addition, the banana powder contains carbohydrates, pectin substances, vitamins, micro-elements, amino acids, organic acids, polyphenolic compounds, ascorbic acid, and others. It was investigated the possibility of the improving of the butter mineral composition due to the use of seaweed laminaria. It was set the product mineral composition. They have anti-mutagenic and radioprotective effects, as well as different anti-inflammatory and immunomodulatory activity . The butter enrichment technology with carrot powder was gotten by the cold spray drying method. The enrichment technology may be developed by adding of specially prepared suspension of carrot powder into the butter composition during its homogenization . Previous studies of suspension microstructure of carrot powder gotten by cryogenic, convective and cold spray drying showed differences in their microstructure due to the method of obtaining an additive. The additive addition improves the butter organoleptic properties, reduces the liquid fat amount, increases its thermal stability and hardness. It was established that nano additives using adds to the formation of a granular structure in butter, with a more subtle distribution of plasma in it, both at micro and nano levels. New types nanostructures research of products has shown that the additives addition leads to the structural elements crushing of butter up to 1-100 nm [23-25]. The applied research results on the new types development of butter with vegetable additives of functional direction, proved the valuable properties enhancement of butter by enriching its biologically active substances plant raw material and pushed us to improve the new model of prescription composition to create a sweet butter mixture with vegetable ingredients of cherry and ginger powder, which is an actual development of technological fat-containing culinary products with plant raw materials. We enrich the butter with the cherry and ginger powder vegetable ingredients, polyphenolic compounds, potassium, calcium, magnesium, copper, zinc, sulfur, pectin substances, glucose, fructose, vitamins A, C, PP, P, B2, folic acid. The most valuable component in the composition can be called melatonin It is a hormone synthesized by the brain pineal gland (an epiphysis), also called the youth hormone. The cherry also includes a very important substance such as oxycumarin, which helps to normalize the blood curvature. This berry also contains a large amount of iron. Therefore, it is recommended for people with anemia . Cherry strengthens the immune system, provokes the process of eliminating toxins from the body, gives an antiseptic effect, promotes the atherosclerosis prevention, and due to the high content of pectin, it also prevents the anemia development. Scientists managed to conduct an experiment in which it was proved that cherry juice kills some bacteria in almost 60 minutes, while other bacteria and viruses are killed even faster. Cherry reduces the risk of heart attacks. It is good for anemia and contributes increase of hemoglobin level. If cherries are eaten regularly, blood clotting is normalized. The purpose of the article is to develop the technology of sweetener butter with vegetable ingredients of cherry and ginger powder enriched with calcium and iron, as well as macro and microelements. Having enriched the recipe with dried herbal ingredients, namely powdered cherry and ginger drying, we investigated these additives effect on the production process and the quality of the finished butter mixture obtaining a stable emulsion of a nutritional system of improved nutritional value. The mixture can be an independent product, as well as finishing semi-finished product. Research main results. Cherries are considered particularly useful in anemia because they contain hematopoietic elements such as iron, copper, cobalt and vitamins C, B, B6, as well as potassium, calcium, magnesium, phosphorus, sodium, and others. Dried milled ginger is an excellent supplement to cream or butter for those women who are bore or who struggle with cellulite. Ginger is a very strong antioxidant, it calms down the nervous system, improves memory, strengthens immunity, helps to cope with stress, increases visual acuity, attention concentration, helps to recover from flu, colds, is a great tonic remedy. Ginger root contains a sufficient amount of vitamins B (B6, B1, B9, B5, B2), as well as vitamins A and C. Besides, it is rich in calcium, magnesium, phosphorus, contains silicon, chromium, choline, zinc, asparagine, manganese - lysine, phenylalanine, threonine, methionine, etc., which are synthesized by the body in very small quantities and must come from food; olein, caprine, nicotine and linoleic acids, essential oils that give it a spicy and tart flavor. The cherry powder was obtained from 1 kg of product containing approximately 2,1 kg of juice with a brix of 14 ° and contains fruit dry matter (30%), maltodextrin (from corn) (69%), flavor of almonds bitter (less than 1%). Having gotten a sweet butter mixture with herbal ingredients, we can see how rich the butter mixture is with vitamins and micro and macro elements. The butter is selected for enrichment is the object. Conducted by a series of laboratory studies and found that supplements from cherry and ginger powders are appropriate to be introduced as a concentrating element. In comparison with the control of butter base cream sample, the organoleptic characteristics of the finished butter mixture with the addition of cherry and ginger powders are changing for better. Organoleptic assessment results of the butter mixture quality with the addition of cherry and ginger powders provide the basis for continuing of the chosen direction in scientific research. Particularly it is necessary to study the additives effect on the whipping process and whipped mass. Adding powders is somewhat different from control. With excessive addition of powder, the mass becomes more delicate, has a pleasant taste and sourness of cherry powder and ginger refreshing breath, changes the butter consistency and improves the nutritional value of the finished product. Materials and methods. As a result, the purpose of the work is to develop a method for quantitative assessment of the butter semi-finished product quality with the cherry powder addition as an additional source of easily digestible calcium, potassium and iron, taking into account the requirements of regulatory documentation. With the help of a complex quality index, it is must be to determine the best conditions for adding a powder to a sweet butter mixture. On the basis of the theoretical and methodological basis of qualimetry, we have developed a method for assessing a sweet butter mixture quality. The absolute values of quality indices expressed in different units can not be directly reduced to a total integrated index without transforming them into a common measurement scale. In accordance with the principles of qualimetry, the value of the unit quality and product quality as a whole should be evaluated by comparison with the basic or standard values. This estimate is of dimensionless magnitude [27-29]. where Yi – coded value of the quality indicator. This scale assumes 5 intervals (fig. 1), in general range of the scale from 1,.00 to 0,00: 1,00…0,80 is very good (excellent); 0,80…0,63 – good; 0,63…0,37 is satisfactory; 0,37…0,20 is bad; 0,20...0,00 is very bad. We are going to consider the structure of a complex index of quality semi finished butter. In fig. 2 it is presented the hierarchical structure of normalized and non-standardized quality indicators of the main components. According to National Standards of Ukraine 4399-2005 it is included normalized organoleptic parameters, physical and chemical parameters, microbiological parameters, toxic elements, radionuclides, myotoxins, pesticides. Unnormalized nutritional indexes include proteins, fats, carbohydrates, minerals, and vitamins. Coded and corresponded to them absolute indexes of property indicators are located on the abscissa axis, the value of relative indicators are located on the ordinates axis. According to normative documents, zero encoded index corresponds to the permissible indicator for the absolute value of the index for properties with a relative index of 0,37. According to State Standards of Ukraine 4399-2005, organoleptic indicators include condition and odor; consistency and appearance; colour; packaging and labeling. Physico-chemical indicators include weight fraction of fat; weight fraction of salt; weight fraction of vitamin A; weight fraction of beta-carotene; weight fraction of annatto extract; titrated acidity; pH of the plasma; acidity of the fat phase; butter temperature. The microbiological indicators include: the number of mesophilic aerobic and facultative anaerobic microorganisms (MAFAnM), number of conventional units, in 1 g of product; number of bacteria in the E. coli group (BGEc), per 1 g of product; Staphylococcus aureus in 0,1 g of product; yeast, number of conventional units, in 1 g of product, mold fungi, number of conventional units, in 1 g of product; pathogenic microorganisms, particularly Salmonella; Listeria manocytogenes. Toxic indicators include: lead, arsenic, hydrargyrum, cadmium, cuprum, zinc and iron. Food indicators include: proteins, fats, carbohydrates, vitamins, minerals. Radionuclides include: Cs137; Sr90. Mycotoxins, antibiotics and pesticides must not exceed the levels. Substantiation of nodal values (table 1) – is made taking into account the requirements for butter in accordance with State Standard of Ukraine 4399:2005. The normalized values are presented in the form of a relative index Ki=0,37 and are highlighted in bold. By the reference value of Rs (with an estimate of 1,0) the average theoretical value of these indicators is obtained. The interval of the indicator values is between 1,00 and 0,37, as well as between 0,37 and 0,00 was selected of ensuring the uniformity of the scale, as well as for practical and logical reasons are given in (table 1). For this research, the values of indicators with an estimate below 0,37 (which do not correspond to normative documents the requirements) do not represent scientific interest. n is- number of indicators to be taken into account. One of the options for determining weight coefficients (table 2) is an expert method based on the use of generalized experience and experts’ intuition. An expert is a specialist competent in solving this problem. Expert’s competence in relation to the research object is called professional competence, and according to the expert judgment methodology of the investigated problem is an expert competence. The expert should be impartial and objective in estimating the research object. Among expert methods, the most suitable for determining the weight coefficients are: the method of preferences, the method of ranks, the method of pairwise comparison and the Delphi method. The most widespread method is the method of benefits, which reduces to the fact that experts number the weight of all indicators in order of their advantage so that the most important of them would receive weight at number 1, the next on importance is number 2, and so on. Then experts carry out the calculation of the average arithmetic value for each indicator, taking into account the opinion of all experts are given in (table 3-8). When using the rank method, experts evaluate the importance of each indicator in a predefined scale of relative importance in the range from 0 to 1. Weight coefficients are based on estimates made by all experts for each indicator in their totality.